Electroencephalograph (EEG) based Brain-computer Inter- face (BCI) research provides a non-muscular communication to drive assistive devices using movement related signals, generated from the motor activation areas of the brain. The dimensions of the feature vector play an important role in BCI research, which not only increases the computational time but also reduces the accuracy of the classifiers. In this paper, we aim to reduce the redundant features of a feature vector obtained from motor imagery EEG signals to improve their corresponding classification. 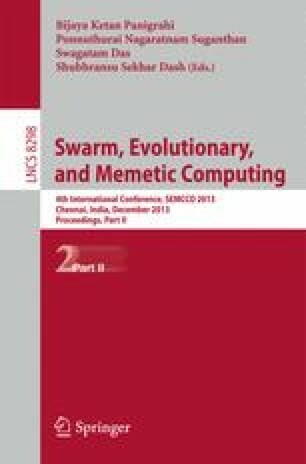 In this paper we have proposed a feature selection method based on Firefly Algorithm and Temporal Difference Q-Learning. Here, we have applied our proposed method to the wavelet transform features of a standard BCI competition dataset. Support Vector Machines have been employed to determine the fitness function of the proposed method and obtain the resultant classification accuracy. We have shown that the accuracy of the reduced feature are considerably higher than the original features. This paper also demonstrates the superiority of the new method to its competitor algorithms.